At Belbol & Associates, we have dedicated staff providing accounting, bookkeeping, tax and consulting services specifically designed to meet the needs of healthcare professionals. As a local Oradell, NJ CPA Firm, we've helped numerous medical practices over the years with practice management consulting services, outsourced accounting, tax minimization planning, cash flow management and more. As a healthcare practitioner, the most important aspect of your business should be your patients, which is why Belbol & Associates works with you to operate your practice more efficiently and profitably. Why just hire any accountant when you can work with a firm with services dedicated to the healthcare industry? Call us today at 201-523-9442 to learn more about our medical practice accounting services and to see how we can help you! Belbol & Associates offers both medical practice tax preparation services and year round tax planning to minimize your tax liabilities. Are you a healthcare professional looking to start a new practice? Belbol & Associates can help match you to the perfect business entity and provide the necessary guidance to get your business off the ground right. 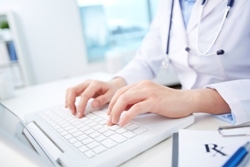 Want to learn more about our medical practice accounting services? Schedule your free initial consultation now or give us a call at 201-523-9442 today.